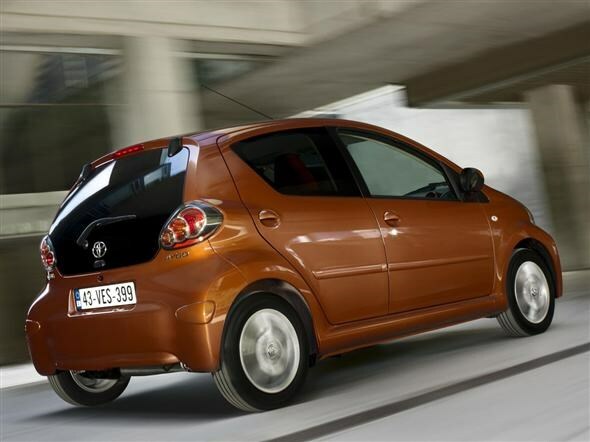 Toyota’s Aygo, a small city car, has received a facelift and a range of minor technical changes. The big news is that, thanks to minor improvements in efficiency, it now emits 99g/km of CO2. As a result, the new Aygo will cost nothing to tax and will be exempt from London’s congestion charges. Externally, the car has received new front-end styling that’s aimed at giving the car more presence. The bumper has been redesigned, and there have been changes to the grille. Fog lights are integrated into each corner of the bumper, while optional LED daytime running lights can be specified to make the little Toyota stand out further. Toyota claims that ‘extra street style’ is bestowed on the Aygo thanks to dark tinted rear privacy glass and new wheel trim designs. There’s a choice of seven paint colours on offer, including the pictured metallic orange. Inside, the dashboard has been given a dark grey finish, while a new leather-trimmed steering wheel is fitted. Minor trim details, such as the ring surrounds of the speedometer, are finished in grey, orange or black, while the front speaker surrounds are coloured silver or orange. These changes are hoped to improve the look and feel of the cabin. The 1.0-litre petrol engine remains relatively unchanged, barring the efficiency improvements, and outputs 67bhp and 93Nm of pulling power. Two gearboxes are available, a five-speed manual and a ‘Multimode’ automated manual. The manual version claims emissions of 99g/km, and average economy of 66mpg. The automatic version is slightly less green, with emissions of 104g/km and fuel consumption of 64mpg. All versions, however, are cleaner and more frugal than the previous models. Automatic versions also get paddle shifts on the steering wheel, for those seeking a little more control. The Aygo should prove a little more refined than the previous generation, too. Toyota has added extra noise insulation under the bonnet and made adjustments to the clutch to reduce noise and vibration. The suspension has also been tweaked, to reputedly make the ride smoother. As well as conventional equipment such as electric windows and remote central locking, buyers will be able to pick between two stereo systems. One is a conventional CD player and radio, with two or four speakers, while the other is a new system that comes with Bluetooth and a USB port for connecting MP3 players. The upgrades mean that the Aygo should prove cheap to run. Its insurance group is low, the fuel economy good and servicing inexpensive. Add to that its exemption from road tax and congestion charging, and the Aygo shouldn’t worry your bank balance. 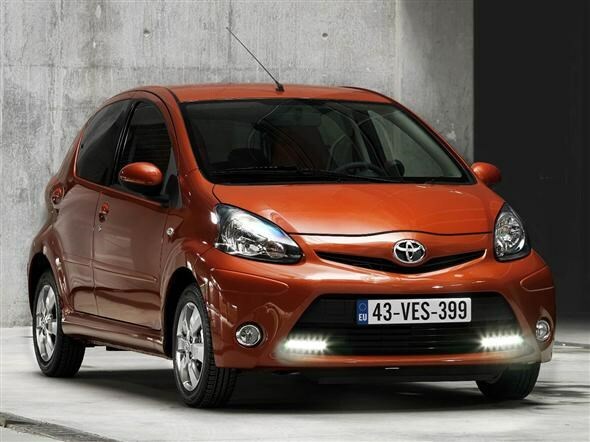 The new Toyota Aygo will go on sale in March. Full specifications and prices have yet to be announced but, with the current model starting at £8,590, buyers should expect to pay in the region of £8,800.